The mattress category is stagnant and cluttered with brands who struggle to differentiate from each other. Mattresses are big ticket items, purchased infrequently. On average, mattresses are replaced every seven years. Brands struggle to maintain a relationship with consumers after a purchase is made. Casper was created in response to people's frustration with mattresses. Their commitment to research (consumer + product development) and design is the foundation of the brand. However, Casper's dedication to building a relationship with their customer is what propelled their success. Casper owners double as disciples for the brand. They're vocal about their love, proud of owning a Casper, and humble-brag about it whenever they get a chance. 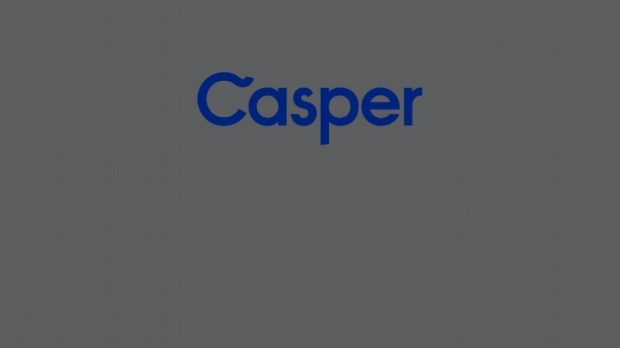 Casper Sleep is a fast-growing startup launched in April 2013, which sells mattresses, sheets, and pillows online. Their web-based distribution has disrupted the traditional buying process by cutting out the middle man and delivering mattresses straight to the consumer’s door and pioneering the bed-in-the-box model. Casper has been fiercely successful in breaking through the dormant and cluttered mattress category. Earning $1M in revenue during their first month in business is proof of that. But at the end of the day, Casper is still a mattress company working to foster a meaningful relationship with their audience. Casper is your guide to a better night's sleep. What is sleep hygiene? Sleep hygiene includes the behavioral and environmental practices that impact your quality of sleep. These practices include everything you do when you wake up in the morning up until you go to bed at night. Sleep hygiene is essentially about forming healthy habits and optimizing your lifestyle in order to get the best night's sleep. Casper's mission is to educate the world about how critical sleep is to your overall health and wellbeing. Everything that Casper does, from their products to events to their digital presence relates back to sleep hygiene. They are driven by their purpose: better sleep makes for better living. Casper has engaged a population that doesn’t even own their core product. They have built a fanbase around their messaging, social presence, and community events. These are people who follow the brand for their wit, enthusiasm, and pithy guidance for a better night’s sleep. Casper is aggressively active online. Their cross-platform social strategy engages consumers with their personality and wit, promotes better sleep practices, and drives back to their products and website in the process. These people are loyal followers of Casper and the brand's mission to help the world sleep a bit better. Even though they're not in the market for a new mattress, Casper Admirers are engaging with the brand online and at events. Casper can convert these brand admirers to be Casper buyers by expanding outside the mattress category. A product line that increases accessibility for the brand, while interjecting Casper into people’s daily routine. *Towels, slippers, and bathmats are also a part of the Casper Comfort line. Westin Hotels is committed to health and wellness, making them the perfect partner to debut the Casper Comfort line. Their Westin Well-Being Movement is their program devoted to helping their guests live and maintain a healthier, well-rounded life while traveling. Host a Spa Day at Westin Hotels to kick off the partnership and introduce the Casper Comfort Line to the world. Convert certain rooms to be Casper branded (including mattresses, sheets, pillows, Comfort Line, etc.). Offer Casper Comfort products in Westin rooms and at in-hotel spas. Additional retail partners include: West Elm, Nordstrom, & Crate & Barrel. Leverage Casper’s personality to engage and educate people about Casper Comfort with messaging focused on introducing the line, encouraging trial, and promoting purchase. The primary focus is on reminding people how dedicated Casper is to sleep hygiene while also getting people to try and share the new products. Secondary communication efforts work to show people Casper’s new home in West Elm, Crate & Barrel, and Nordstrom. We are working within Casper’s existing infrastructure to carry the sleep hygiene thread through everything we do while staying on brand as we develop the Casper Comfort line. Our communications framework targets Casper Admirers during the Casper Comfort launch without alienating our brand disciples – and never sacrificing Casper's purpose.